It seems that, all of a sudden, everyone loves Quinoa. Almost from nowhere, it’s now championed by fitness buffs, foodies and Instagram pied pipers as the food of tomorrow, today. And for good reason – it’s a wheat-free, complete protein ‘pseudo’ cereal grain that has proven health benefits, as well as being tasty and easy to prepare. Quinoa has been grown in South America for thousands of years and was the staple diet of the Incas and their pals. These days, it’s seen by many as the superior alternative to rice, couscous and bulgur wheat (although actually, it’s more closely related to beetroot, spinach and turnips). Unlike many ‘fad’ foods, Quinoa’s nutritional value is pretty much universally accepted. It has twice the protein content of rice, potatoes or barley, and is also a very good source of calcium (great news for vegans and the lactose-intolerant). It’s got a solid array of B vitamins under its belt and acts as a source of Vitamin E and dietary fibre. Quinoa is also a rich source of minerals like iron, magnesium, zinc and potassium. There’s also evidence that it can be beneficial in the prevention and treatment of disease due to the presence of natural anti-inflammatory phytonutrients, and small amounts of omega-3 fatty acids. 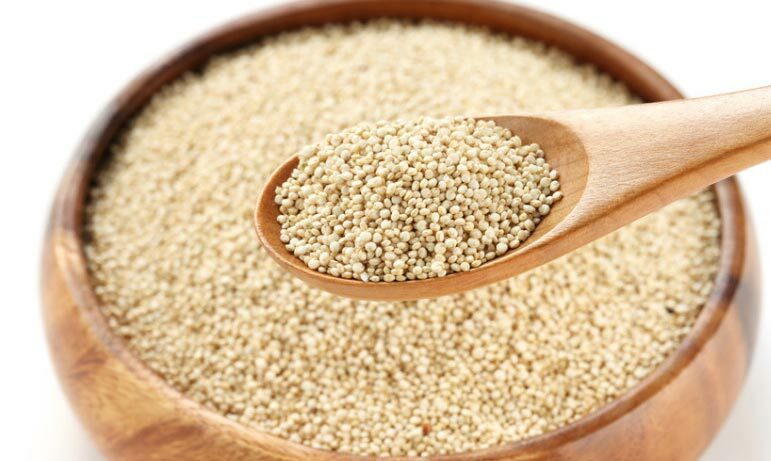 And just recently, a Harvard study has suggested that a daily bowl of Quinoa can reduce the risk of premature death from cancer, heart disease, respiratory disease and diabetes by up to 17 per cent. Even better, it’s pretty tasty. When cooked, Quinoa seeds become fluffy and creamy, with a slight crunch. It has a subtle nutty flavour and works well as an addition to breakfast, lunch or dinner. It’s also easy to prepare. It’s best to thoroughly rinse it first (to remove the bitter saponins that coat the seeds) and then boil like rice, when it will expand to several times the original size. How you eat it is up to you. At Reynolds, we love it sprinkled on salads or used in place of couscous or rice.